When I change the player's value and forward the game one day. The player's value will reset and go back to the default. You don't have to bite my head off. In my country it is not possible to buy a license for FMSE 19. Hence the question for @Stam. @Marko12101983, licenses aren't just handed out freely. Why should one person get a license for free when everybody else has to pay for one? Is it possible to get a free license? I can not install the software and run it. help please? How to save your edits when it asks me for a license which I don't have? Quick update: FMSE will be ready for translation into more languages next week. Thanos is finishing the English language file over the weekend. If you're interested in contributing a new language, please message me. In the meantime, I expect a new patch to be released before the weekend; if that happens, we'll promptly roll out a patchfix as always. @4000LIEGE: Yes, you can. To download / install / explore the app is free. Make sure you see for yourself all the available options it has before investing in a license. @right_winger: 1) Club names are not editable. 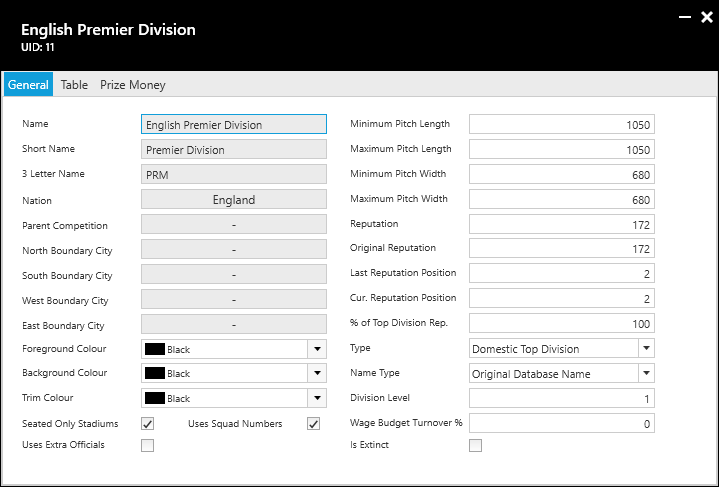 2) Club names are not editable. It doesn’t do anything to the game. 3) FMSE does not alter game files, so that’s impossible. All changes are temporary in the database and only affect the current loaded game. @Kove4evr: Have a look at this screenshot for all available options. Hello, I dont know FMS well. Can we change the nationality of a player with this software? It seems the failed attempt on editing changed some setting responsible for showing short/full names but now I am not able to change it back manually. 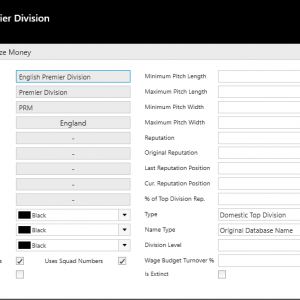 can you change league rules and registration, such as registration restrictions in for example, the premier league team registration needing 8 home grown players with this tool? @oikonomologos: Not currently possible. If we can figure out how to make it work, we'll add that. @GeeGeeW @kenz24 @flamma: Try to run the app as admin. Open Windows start menu, find FMSE19, right-click on it and select "Run as administrator". @heirtothestar: We'd love to add that, but don't know how this is calculated yet. In the meantime, you could use the "Freeze Attributes" feature. @Meazer: That's odd. We'll look into it. @WhiskyPriest: Good shout. We'll add those as soon as we're done with localization. We're currently preparing the app to be translated into more languages. Can I make an Ineligible player because he played in two different clubs in a season, eligible with this tool? cant load any game it just keeps on loading..
You cannot change a players height and weight as of the current patch. hi, firstly apology for my bad english. i wish click to load game but loading bar is endless. Any chance on adding the ability to change the following?? None are avaliable to edit in the staff editor (as far as I can see). Update for FM Touch is now available. Apologies for the delay. Typical FM Touch delay with patch release. We'll update FMSE for it later today. Latest version does not work with Fm Touch 19.1.5. When can we expect an update? FMSE updated for 19.1.5 already. We're currently working on making the app ready to be translated. Focus for next version will be on a couple of stability fixes. @Bertomoreira: Try disabling your antivirus for the installation. Handcrafted in Symi, Hellas. Page created in 0.652 seconds.